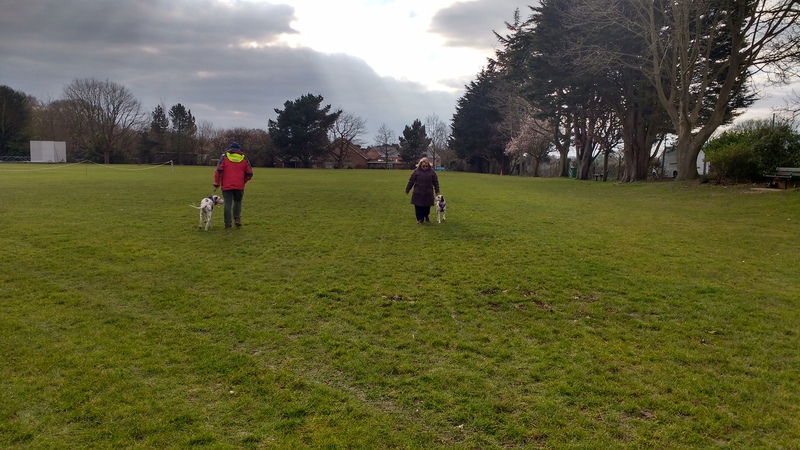 We have two dogs that are approaching one another in the field, as you can see, they are on the outside of their owners. As they got closer, the dog and owner on the left, curved around, to create distance between them and the other dog. This space meant they could pass one another, without any negative reactions. When you are walking in the park, or along the pavement, and you see another dog walking towards you, in the distance, you can’t be sure if they are happy to see other dogs (or indeed humans). Each dog you encounter is an unknown quantity, they may have recently had surgery, and could still be in pain, or they could be nervous of new dogs, or people. There are many possibilities that could lead to a negative interaction. The curve is a simple, but effective way to avoid any unwanted behaviour. In the dog world, when two socially aware dogs meet and greet, they will naturally curve when in close contact, then go to the main area of communication (the bottom!). It makes sense that we do the same. Heading directly towards another dog, can be seen as quite a confrontational act for some dogs. They communicate with their bodies, and direct eye contact can be quite threatening. How many times have you been in the park and seen two dogs (particularly if on lead) walk by one another, and a barking match ensues? Quite a few times, I’ll wager. This is simply because we aren’t giving them ample space from one another. Don’t just practise the curve when you have your dog with you. Always give dogs a bit of space, they can also find the direct approach from people, quite intimidating. 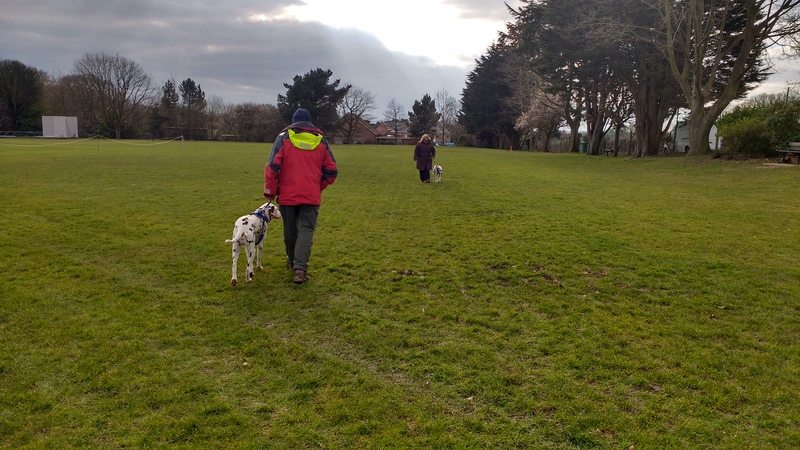 It’s a polite way of making sure your dog (and other dogs around you) don’t get unnecessarily stressed, and so you can enjoy a happy go lucky walk with each other, whether on, or off lead.